In the fall of 2007, National Geographic Maps and Magellan GPS announced that the new Magellan Triton Series handheld GPS receivers would be the first units in the marketplace to accept the import of detailed TOPO! maps. The Triton series consists of six units. All models in the series can accept both USGS 1:100,000 scale and USGS 1:24,000 scale maps from either the TOPO! State Series or TOPO! Weekend Explorer products. TOPO Explorer users can transfer the two topographic layers mentioned above, but can also transfer aerial and hybrid imagery found in SuperQuads. As a first step, ensure that you a running the latest versions of Magellan's VantagePoint, TOPO! Version 4.4.3 or TOPO! Explorer version 1.0.3+, and that your GPS has the latest firmware updates from Magellan. Q: What do I need to install to enable transfer of maps from TOPO! State Series or Weekend Explorer to my Triton? A: You must install TOPO! version 4.4.3, which is a free download available on our Downloads Page. Additionally Triton users should install Magellan's VantagePoint software and ensure their Triton has the most up-to-date firmware. Q: What version of TOPO! Explorer supports Triton map transfer? 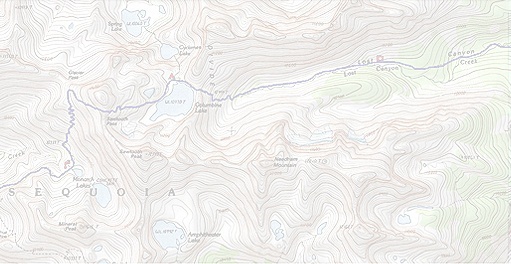 A: Triton map transfer is supported on TOPO! Explorer Version 1.0.3 or higher. Q: Which maps can I transfer to my Triton? A: Using TOPO! State Series or TOPO! Weekend Explorer you can transfer the level 4 (USGS 1:100k topo) and level 5 (USGS 1:24k topo) maps to your Triton. You can choose to transfer just the 1:100k maps, or both the 1:100k and 1:24k levels. With TOPO Explorer you can choose to transfer the USGS 100k and 24k topographic maps or either the aerial or hybrid map style. Q: How large an area of map can I transfer? A: This depends on the Triton unit you have as the internal memory or SD Card slot option is not the same on all models. Triton 200 and 300 models can accept maps no larger than 8MB. Triton 400, 500, 1500, and 2000 with SD Cards can accept maps up to the size of the SD Card capacity. Q: Are the Magellan Triton's Mac Compatible? A: Currently No. The Magellan Triton / TOPO! Map transfer is only supported on the PC.